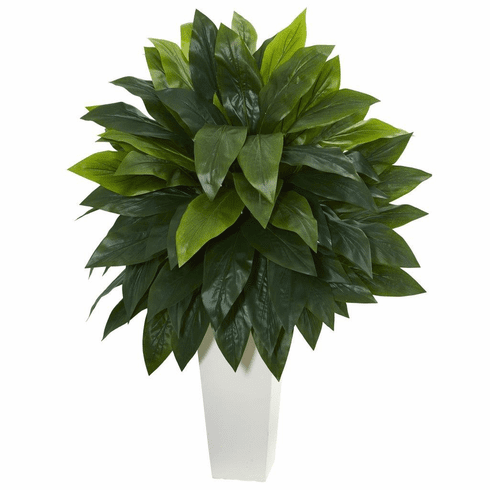 This 40� cordyline artificial plant boasts dense clusters of natural-looking foliage. Leaves fall smoothly over a white tower planter. Add this ornamental piece to anywhere in your living room or office. Size: Height: 40 In., Width: 29 In., Depth: 29 In.